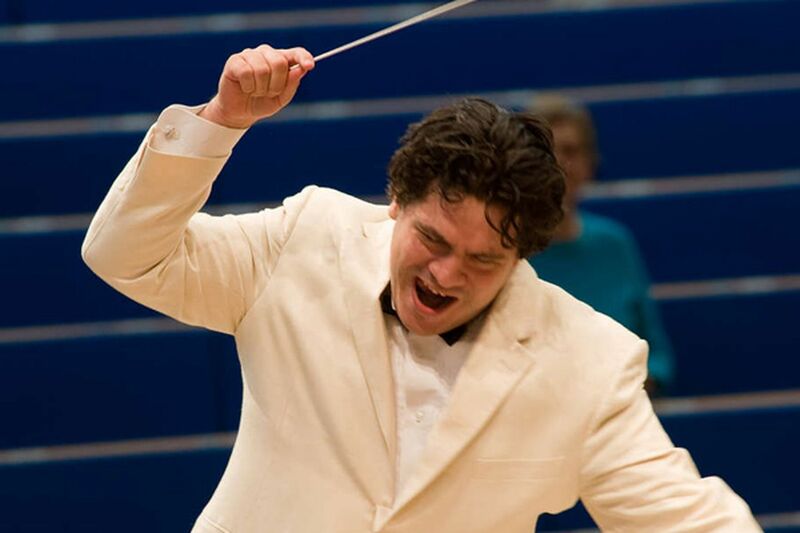 Cristian Macelaru, associate conductor, will assume the title conductor in residence. He will lead neighborhood and summer concerts and a week of subscription concerts. To help lead the increasingly populist aspects of its repertoire, guest artists, and collaborations, the Philadelphia Orchestra is restocking its roster of conductors. Stéphane Denève, the ebullient French conductor of the corkscrew locks who has been a frequent visitor to the orchestra's podium, will become principal guest conductor in the fall. Romanian-born Cristian Macelaru, the orchestra's associate conductor, will take the upgraded title of conductor in residence. Denève, under the terms of a contract running through 2016-17, will conduct at least two weeks during the main subscription season, as well as family concerts, dates at the orchestra's summer spots in Vail, Colo., and Saratoga Springs, N.Y., and, possibly, on tour. He is particularly interested in developing alternative concert formats - such as the project with Philadanco he led this season - and in explaining music to audiences. "I think a few words at the start of a concert can change passive listening into active listening. If you point out to people why you are so passionate about the piece, then you can change the whole atmosphere of a concert," said the conductor, 42, who lives in Stuttgart, Germany, where he is chief conductor of the Stuttgart Radio Symphony Orchestra. Macelaru, 34, a Philadelphia resident who has increasing dates elsewhere, said he would continue as part of a two-year deal with a schedule of neighborhood and summer concerts, as well as a week of subscription concerts. "We tried to work out something that gives me enough time to develop my career outside of Philadelphia, but at the same time maintains a continuing relationship with the orchestra," he said. Macelaru said he would no longer act as cover conductor - effectively an understudy. Those duties now fall to Lio Kuokman, 32, who will have the new title of assistant conductor. The Macau-born Curtis Institute and Juilliard School graduate will also lead family and neighborhood concerts. The last time the Philadelphia Orchestra named a principal guest conductor was 1977, when Riccardo Muti was brought on as heir apparent to Eugene Ormandy. That the title is being applied now to Denève does not signal the same kind of succession planning, according to orchestra president Allison B. Vulgamore. "We knew that would be raised, but it is not the case that we are replicating that path. It was that we didn't have a more appropriate title," she said. The orchestra has talked at various times about formalizing relationships with other conductors, such as Simon Rattle, Vladimir Jurowski, and Gianandrea Noseda - but "not at this time," Vulgamore said. Charles Dutoit's name will stay on the roster as conductor laureate, an orchestra spokeswoman said. Orchestra music director Yannick Nézet-Séguin is almost halfway through a contract that ends in 2017, and though he and the orchestra are expected to agree to an extension, they have not yet done so. Asked about a new deal, Vulgamore said: "I think we're all very much in love. At the appropriate moment, the conversation will be renewed, but it is not slated to happen at any particular time."